Tony! Toni! Toné! is an American rhythm and blues soul band from Oakland, California, popular during the late 1980s and early to mid-1990s. During the band’s heyday, it was composed of D’Wayne Wiggins on lead vocals and guitar, his brother Raphael Saadiq (born Charles Ray Wiggins) on lead vocals and bass, and their cousin Timothy Christian Riley on drums and keyboards. Other members were Elijah Baker, Carl Wheeler, Antron Haile. Randall Wiggins, and Amar Khalil, who was singing lead after Raphael Saadiq. 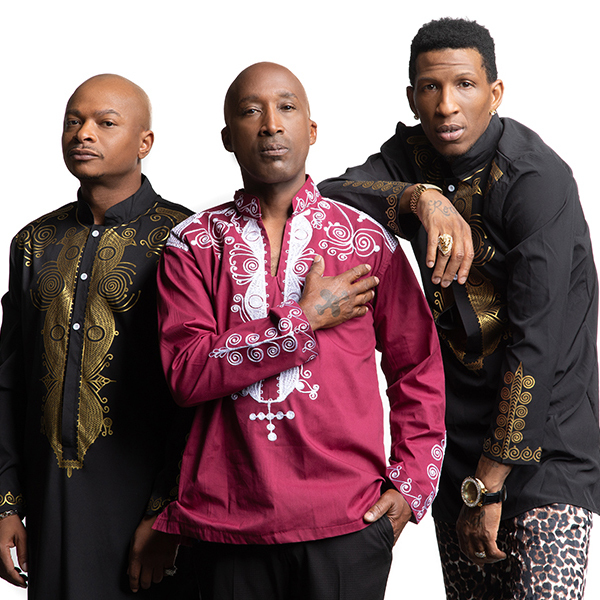 Originally, the band went by “Tony, Toni, Toné” as a joke, until they realized it had a nice ring to it. After their debut album Who? in 1988 followed by The Revival in 1990, the group achieved their greatest commercial success with the double platinum certified Sons of Soul in 1993. Tony! Toni! Toné! disbanded after the release of their fourth album House of Music (1996), which critics cite as their greatest work. Their first album, Who?, produced and co-written by Denzil Foster and Thomas McElroy, was released in 1988. The album went gold and had several hit singles. The first of these, “Little Walter” went to #1 on the R&B charts. The next three singles, “Born Not To Know“, “For The Love Of You” and “Baby Doll” were all Top 10 R&B singles. The group’s second album The Revival was released in 1990 and reached platinum status. The album spawned several #1 R&B hits with “It Never Rains (In Southern California)”, “Feels Good“, “The Blues“, and “Whatever You Want” all topping the R&B charts. “Feels Good” was the group’s first single to breach the Top 10 of the Billboard Hot 100 and went gold. The single “Me & You” appears on the soundtrack to the motion picture Boyz n the Hood. In 1993 the group released their third studio album, Sons of Soul. The album went double platinum and had hit singles “If I Had No Loot” which hit #7 on the Hot 100, “Anniversary” which reached #10 on the Hot 100, and “(Lay Your Head on My) Pillow” which reached #4 on the R&B charts. Following the release of Sons of Soul, the group was a part of the R&B supergroup Black Men United, along with Silk and H-Town. The song “U Will Know” appeared on the soundtrack for the movie Jason’s Lyric. In 1996, the group released their final studio album to date, House of Music. The album lacked the strong singles of earlier entries, only getting “Thinking Of You” & “Let’s Get Down” into the top 10 on the R&B charts, with “Thinking Of You” hitting #22 on the Hot 100. The album reached platinum status. Tony! Toni! Toné!, with Dyson Tate and Frank Stickemz singing lead vocals are currently on tour.